Editor’s note: This post was originally published on April 7, 2011. It was revised and re-posted on April 22, 2013. Tammy is stuck in the 60s, but this unrelated import could wear well today. Thanks to Fran for suggesting Tamsin as our Baby Name of the Day. Tammy typically comes from Tamar and Tamara, names with Hebrew and Sanskrit roots. Tammy and Tamara had their moment in the sun in the 1960s, propelled by a series of films starting with 1957’s Tammy and the Bachelor. The cinematic Tammy was actually short for Tambrey. There was also a short-lived television adaptation, and actresses like Debbie Reynolds and Sandra Dee made their names as the Southern-fried good girl looking for true love. Even if Tammy hadn’t been a Top Ten pick from 1966 through 1971, the pop culture reference is enough to make her feel dated. Tamsin shares a first syllable, but has a totally different story. She’s a contracted form of the equally rare Thomasina. Given all the men named Thomas over the years, it isn’t surprising that there’s a feminine form. Thomas comes from the Aramaic word for twin. Saints and other notables have made him a classic. 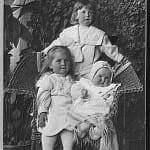 Girls have answered to names like Tomasa and Tommie; the latter is almost certainly the most popular feminine form in the twentieth century. In Thomas Hardy’s 1878 Return of the Native, one of the main characters is Thomasin, often called Tamsin. The name picks up a literary vibe thanks to the novel. When you go looking for women named Tamsin or Thomasina, they’re almost always found in the UK. Or, possibly, they are cats. 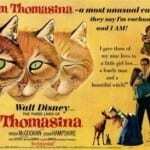 In 1964, Disney’s The Three Lives of Thomasina adapted a 1957 novel about a rather special cat and her family. Tamsin Agnes Margaret Olivier, Laurence Olivier’s third child and older daughter, also an actress, born in 1963. Tamzin Merchant, most recently seen on The Tudors as Henry VIII’s fifth wife, Katherine Howard. Tamzin Outhwaite played Melanie on EastEnders for more than a decade. Tamsin Greig has had a long career in radio, stage, and film, including a small part in 2004’s Shaun of the Dead. The recent debut of the latest adaptation of Camelot features Tamsin Egerton as Guinevere. I suspect she might be the best bet to boost Tamsin. She’s often listed as a Cornish innovation. Peter S. Beagle’s 1999 novel Tamsin gives the name to a ghost from seventeenth century Dorset. Thomasina fits with elaborate feminizations like Alexandra or Laurencia. But Tamsin has a much more modern vibe. She can keep company with tailored nature names like Rowan and Linden. She’s a logical successor to Madison and Kaitlyn. As for whether the potential nickname Tammy is a fatal flaw? That’s hard to say. Tamsin doesn’t require a short form. And in this age of it’s-Isabella-not-Belle, there’s no reason to think that others wouldn’t honor your wishes. In fact, if you’re trying to honor one of those many, many Tammys born in the 1960s, Tamsin could be quite the find. Tamsin (and Tamzin and Tamsyn etc) is fairly common here, but mostly with people around my age – I can’t remember the last time I saw a young child with the name. It sounds as if it’s still quite fresh in the US, and might even seem striking. However.. my daughter’s name is Teagan.. would Tamsin be too close? It sounds great, but only if you never have a third daughter. Otherwise, it would be Teagan, Tamsin, and … Torrance? Tilden? I knew a Tamsen in college. It was my first and so far only real-life association with the name. She was arty and interesting so it’s a name that conjures up that sort of person for me. I like its trim, neat, no-frills femininity. Hehe, you should try living in Cornwall. There are hundreds of Tamsins down here! But although I like it, it feels dated to me because most Tamsins I know are 30+ (I mentally class it as a ‘mum’ name, like Michelle, Lisa, Tracey etc). I love Tamsin, but it sounds a bit funny with our surname which also begins with T, and it doesn’t really work in French. Too bad. I know a Tamsyn, and while I’m not generally a fan of Ys used to replace Is, I really like the look of that spelling. I very much dislike Thomas but I like Tamsin and Thomasin very much. I like non-a-ending, non-frilly girls names. Tamsin fits in nicely with Branwen, Caitlin, Morgan, and Tamar. I do love Tamar that bit more but I don’t think the pronunciation I’d want – tuh-MAR, is necessarily what I’d get, and Tamsin is simpler that way. I don’t mind Tammy as a nickname. For Thomasin I’d use Tommy, though. I’m not sure if Tommy works for Tamsin or not. It is one of my favorites, too! I’ve always liked this name although it’s also always seemed too far from my experience to use. I LOVE the name Tamsin. Love love love. It’s feminine, elegant and has plenty of historical background (aka it’s a real name that has seen centuries of consistent, if not popular, use). It also still manages to sound modern and spunky. I somehow find Tamsin remarkably whimsicle. I’ve never met one, but would love to do so. I agree that Tammy is horribly dated, and Thomasina is too clunky for my tastes, but Tamsin (NOT Tamzin) strikes the perfect balance between pretty and practical. There are plenty of Tamsins in NZ. I never found the name all that unusual because of my exposure. It’s a lovely name. Thomasina? Not so much. It looks like Tamsin draped in a dusty doily or something. That and “Doubterina” pops into my head. I think Tamsin is really cool in both a modern and vintage way. Meaning, it has a charming, classic feel but a thoroughly fresh sound. I agree that Tammy just doesn’t cut it as a nickname any more, but Tee is just fine, and Zinny might work for something a little bit zippy and cool. can you do the names todd, sophie, louise, tess, jennifer, charlie, and reid? Oh, I love Tamsin (or more specifically Tamsyn). I’d never use it (my tastes run more to Rose and Cecily), but it’s very pretty, and it would be nice to honour a Thomas(ina). Return of the Native has some of the best names! I first fell in love with Eustacia, and it didn’t take long for Thomasin to creep into my heart as well, soon followed by Tamsin. I wish I could use them all! I LOVE Tamsin! I fell in love with the name Thomasina from the Disney movie and I fell in love with the name Tamsin when I heard it on Emily Blunt’s character in the 2004 film My Summer of Love; I had no idea the two names were related. I tend to like frillier girls names, but I still adore Tamsin. I will just add that I loathe the Tamzin spelling. It’s like Ashlee or Madisynn. Eww. I agree wholeheartedly on the Tamzin spelling. Too kre8tiv for me. This name gets a fair amount of play in fantasy/sci fi circles. There’s the book Tamsin by Peter S. Beagle. There’s the author Tamsyn Murray (My So-Called Afterlife and others). There’s another book about a college student in the midwest that’s a retelling of a traditional folk or fairy story that I can’t quite remember the name of. Tamsin Blight may be the source of the “Cornish” connection. Does anyone use Zoya nail polish? It’s a brand with nail polish named after women’s names. Anyway, I’m obsessed with the brand and they just released a tomato-red shade called Tamsen. This made me fall in love with the name Tamsin, because to me it now matches the color of the polish. It’s also quirky, underused (in US at least? ), and fabulous. I think it’s along the same lines as Pippa. Love it. 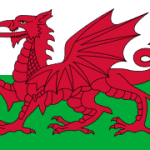 It may be that Tamsin is not a Cornish name but a name that developed from the English language feminine forms of Thomas that were used throughout Britain during the Middle Ages. In 2009 only 9 baby girls born in the USA were given the name Tamsin (Thomasina, also 9; Tamzin, not in the SSA ‘beyond’ data), while in England/Wales 80 girls were named Tamsin (Tamzin, 66; Thomasina, 4). As a fan of the sweet children’s film “The Three Lives of Thomasina”, I’ve always liked the names Thomasina and Tamsin and associated them with Scotland, but I can see now that these names were used throughout Britain. And apparently the names are currently out of fashion in Scotland, where in 2009 no girls were named Thomasina, with only 3 named Tamsin and 10 named Tamzin. I agree that Tamsin is perfect for someone who wants a non-frilly, almost unisex sounding name for a girl. I immediately thought of mentioning Tamsin to an acquaintance who likes Sawyer for a future daughter (but who’s brother has his eye on that name as well). I like that it ISN”T unisex but that it still provides the lack of frills many parents are seeking these days. I think Tamsin is spunky and fun, and while its not my style, I can see it appealing to a wide range of modern parents. I’ve secretly loved Thomasina ever since reading Tom Stoppard’s Arcadia. The heroine is Thomasina Coverly, a young math genius, and she totally won me over to the name. I wish I liked Tamsin more since I think it’s much more usable but for some reason, it just doesn’t appeal. I think it’s because I tend to nickname and Tami is the most obvious choice. As you say, the Tammy names are terribly dated. Still, Tamsin could be an interesting choice for a baby today. Awesome play! I was charmed by Thomasina as well, but like you said, it doesn’t seem entirely wearable. Growing up I used to spend summers with my Grandmother Spencer in Surrey and one of my best female friends was a girl named Pippa whose mom was named Tamsin. I always thought her name sounded hippyish. Pippa had a brother named Freddy that I had a mad crush on so Frederick is a name I adore but my husband says it is too geeky. I like Tamsin quite well. She’s a great pick for someone who wants something uncommon and non-frilly. I’m not into nicknames so I like her in full. Yeah, I don’t know. It sounds too close to Thomson. It just doesn’t sound like a girl name; it’s more of a Jordan or Madison or one of those adopted names, IMO. I love Tamsin! But then, despite no family Thomas’, I find Thomasina completly charming. If I could talk Him into it, Thomasina/Tams(in) would be Josie’s sister. As is, we’re rethinking ALL the girls on our list! Tamsin’s great, snappy, sweet and pretty, all in 6 little letters. Awesome! Ick. When I first saw it I read it as Tasmin -like Jasmine with a T. Tamsin doesn’t seem like much of an improvement. I’d like it more if it were Tamson (or similar) for a boy. Personally, I like Tamara and Tammy (I know someone my age, mid-twenties, with the name so it doesn’t seem too dated). Tamsin is just to ‘hard’ of a name. I got horribly sick the first day I studied abroad in London, and the woman that took me to the hospital and bought me some medicine was named Tamsin. That’s the first time I had heard of the name. […] prefers to blend in.